So... this show is about really good room service, right? If you are not in the UK [and you don’t like to watch TV illegally], chances are you have not watched this show yet. So I will keep my review spoiler free. Just some general first impressions. In a nutshell, I really really liked it! And it must be noted that I have VERY high standards when it comes to spy shows. Very few espionage dramas have won me over since Alias [The Americans, D83... end of list], so I get incredibly excited when I find one that checks all the boxes. The Night Manager has a lot working for it. The tone and visual style are reminiscent of classic spy movies. The story is intriguing, the setting is exciting and the scenes exude tension and suspense. Hugh Laurie is chilling as the villain of the story and I don't think I have ever liked Tom Hiddleston this much [was he always this good looking?]. So far, I am much more excited about this show than War & Peace. Should you watch it? Definitely a must watch, especially if you like British drama and brainy spy-movies like Tinker Tailor Soldier Spy. The Night Manager time! I love the Bond-esque titles. Foreshadowing? Is this Tom Hiddleston's audition for James Bond?? 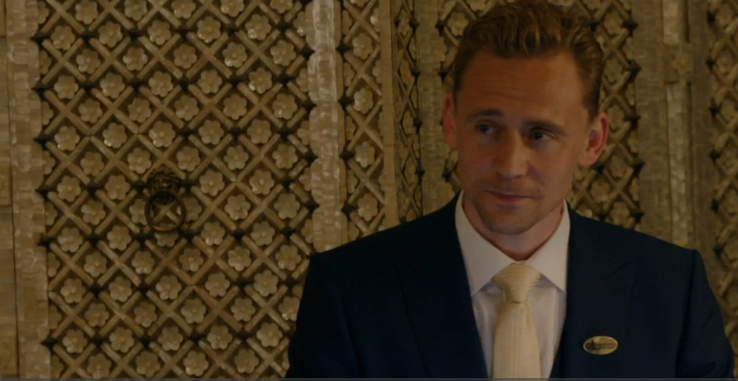 #TheNightManager I don't care I already love it. Since #TheNightManager is plainly an audition for the next Bond, I am pleased to announce that the new 007 is Olivia Colman in a big cardy.